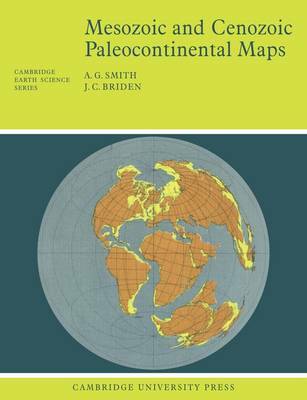 First published in 1977, this book shows the positions of the major continental areas during the past 220 million years as four series of computer-drawn maps. The maps have been drawn for the present day, 10 and 20 million years ago, then at 20-million-year intervals back to 220 million years. All the maps are based on quantitative geophysical or topographic information: paleomagnetic pole positions, ocean floor magnetic anomalies, and best fits of the continental margins. Mercator, north polar and south polar sterographic, and Lambert equal-area maps of each selected time interval are provided. Many interesting problems in the Earth Sciences are global; they need to be seen in a proper global setting. The maps provide such a framework on which a very wide range of geological information may be plotted. Problems in fields as widely separated as palenontology, stratigraphy, geochemistry and tectonics may usefully be displayed on these maps.